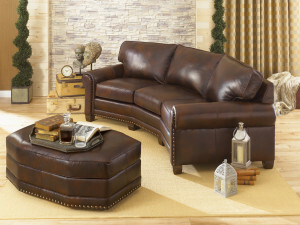 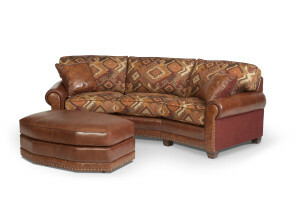 The 393 Sofa from Smith Brothers of Berne is shown below with the 505 Wing Chair from Smith. The 393 is well suited for any place in the home. 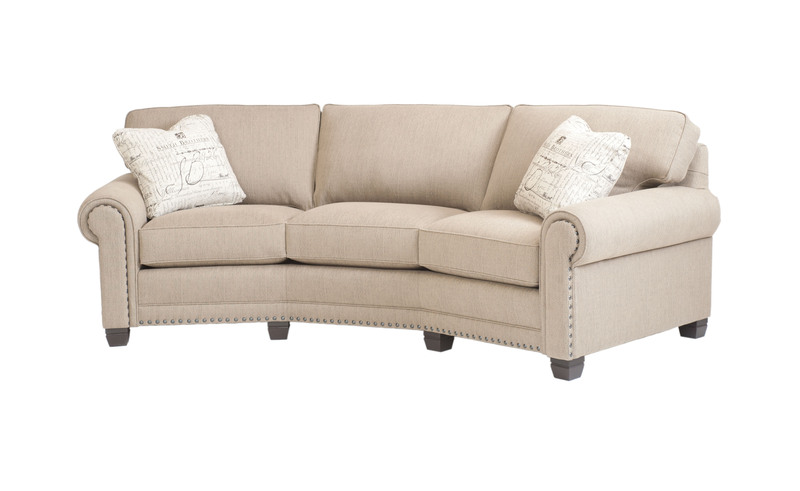 The nailhead trim dresses the sofa up for the living room or you can choose a more relaxed cover and use it in a den where the raised arm panels set it apart from a generic rolled arm sofa. 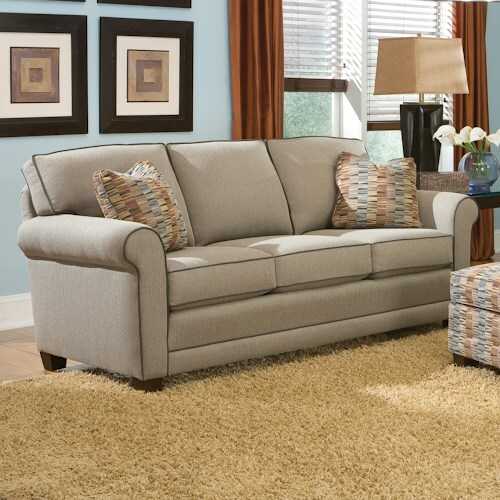 Need a sectional for your living room? 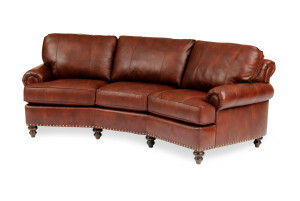 No problem, like many Smith Brothers choices it is available as a sectional as well. 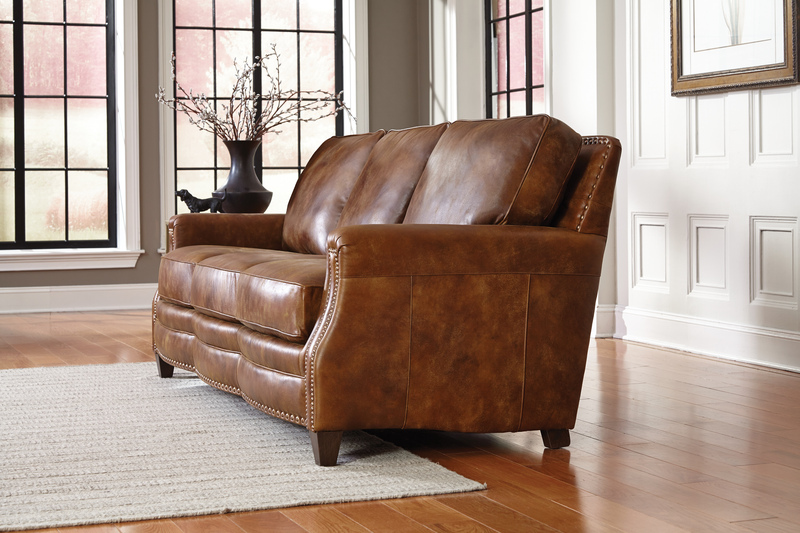 Rustic cabins and lodge style homes can use the 393 in leather to make a statement. 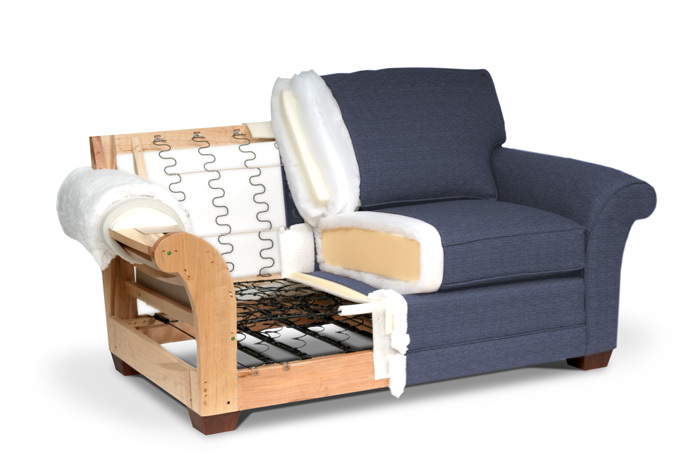 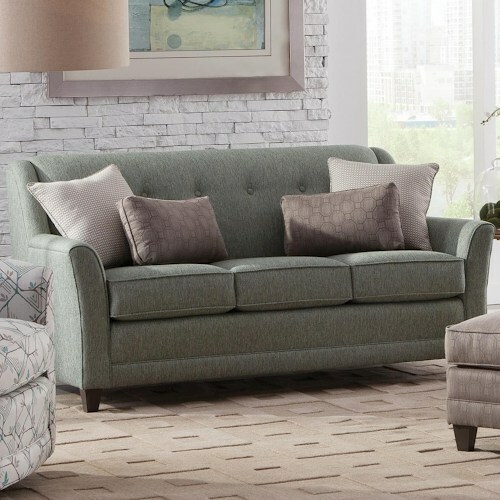 Comfort is king and like all Smith Brother’s sofas the 393 features their comfortable and durable Qualux Ultra 2.5lb foam and a coil spring base with an active front rail, all of this = COMFORT THAT WILL LAST! Plus, you can make it the way you want with over 1000 fabric and 100 leather choices delivered in about 35 days! 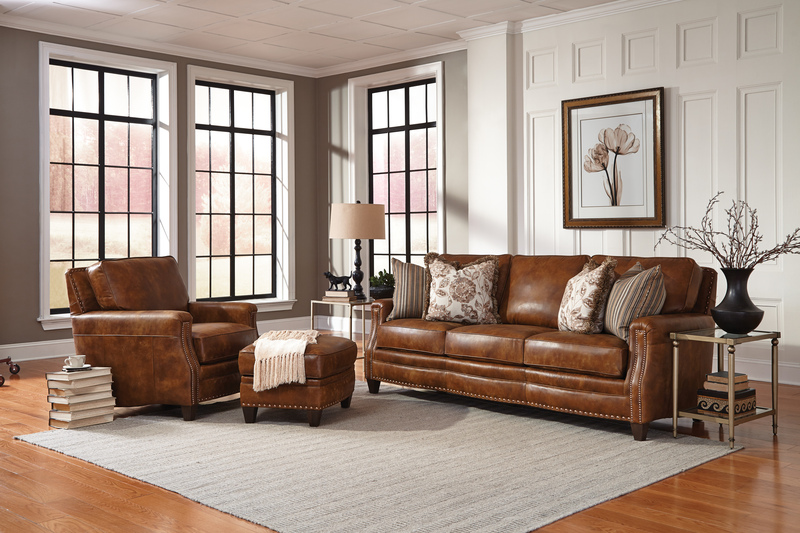 Stop by Saugerties Furniture Mart on Main St. in Saugerties 7 days a week to see our full assortment of Smith Brother’s living room furniture. 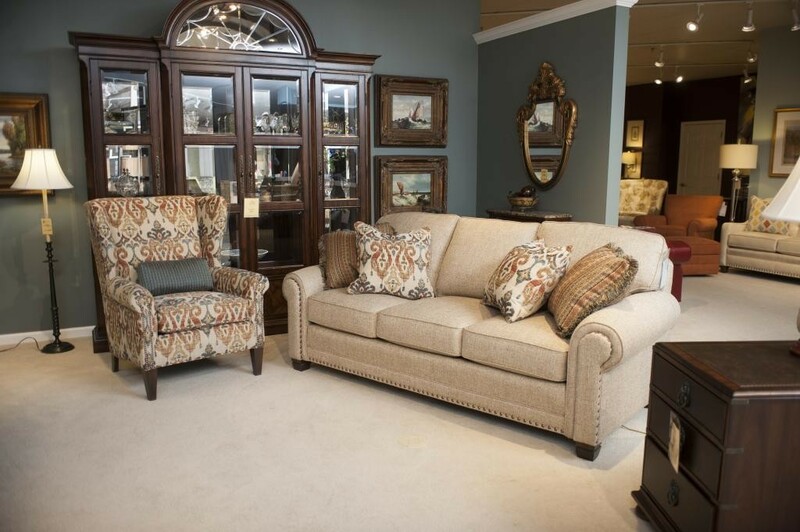 Smith Brothers 393 Sofa and 505 Wing Chair – Click here for “The Inside Story on Smith Brothers of Berne” furniture. 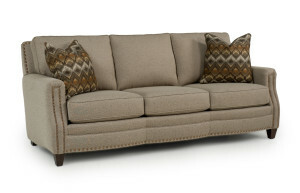 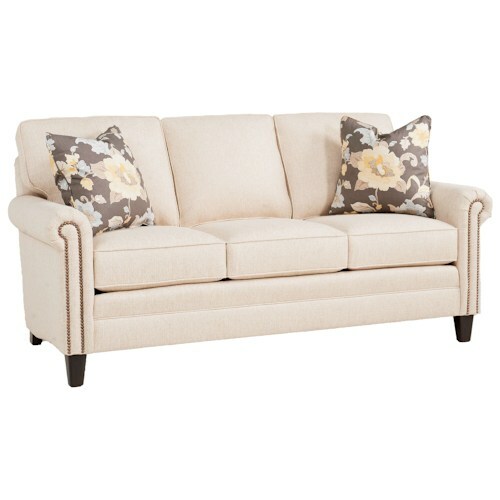 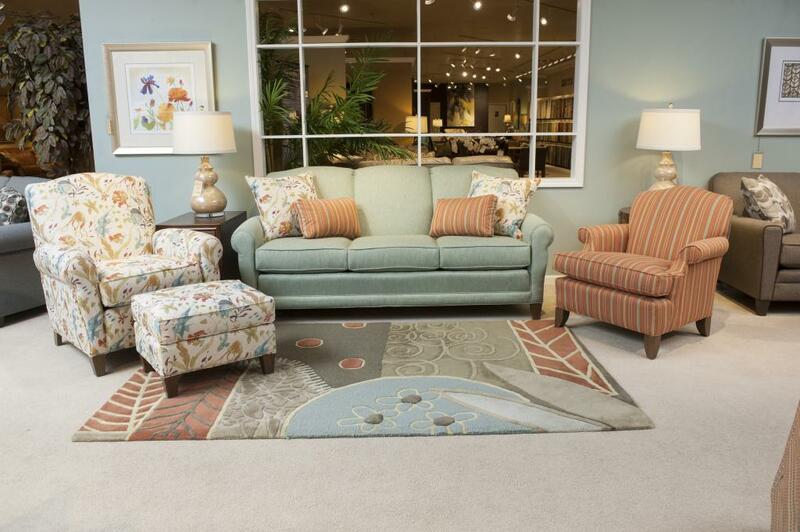 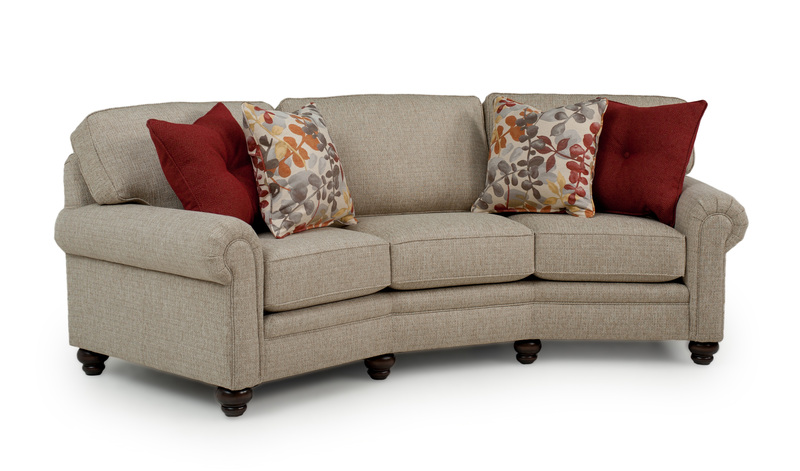 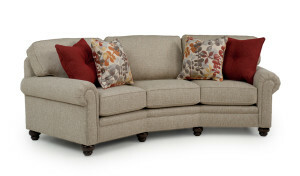 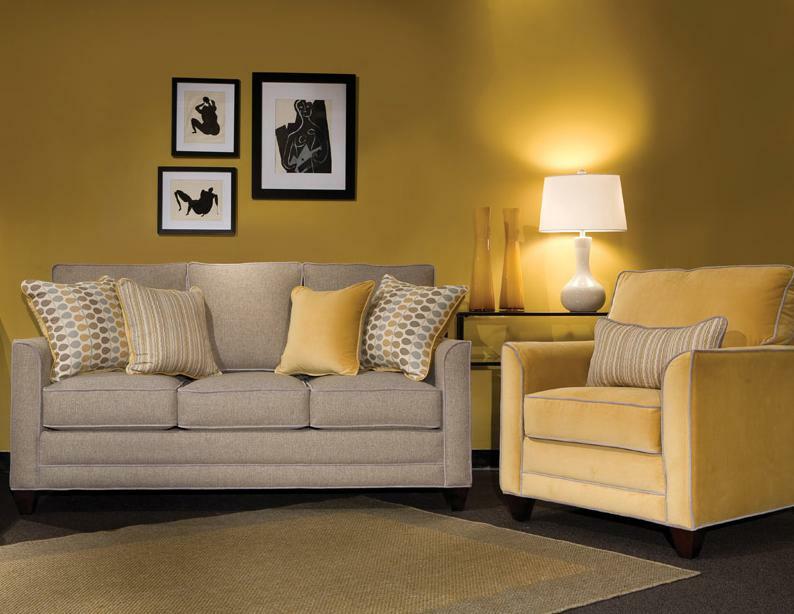 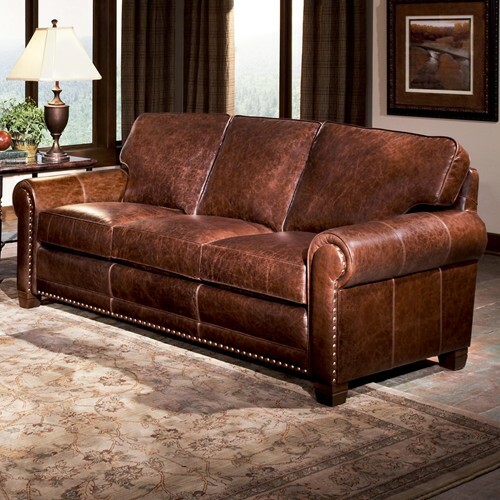 The 374 style is a winner for folks looking for a smaller scale (80″) sofa with a higher back. 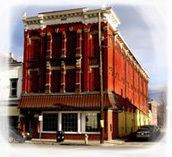 This is a photo from the Spring market of Smith Brothers of Berne. 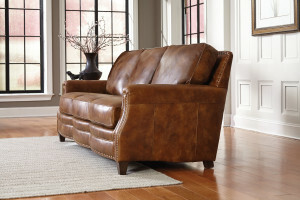 With over 1000 fabric choices and 80 leathers to choose from the 374 group can work with many different decorating themes. 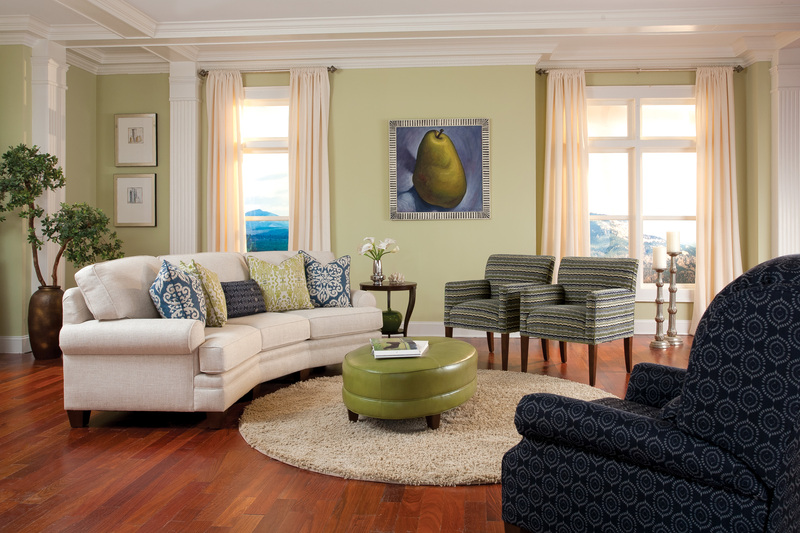 Its clean lines and paris arms lean toward transitional and modern styles as well as cottage as shown. Stop by Saugerties Furniture Mart on Main St. in Saugerties to see the Smith Brothers of Berne 374 group and the 25+ styles we floor sample from Smith Brothers. 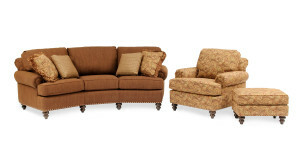 All special orders are delivered in about 35 days or less. 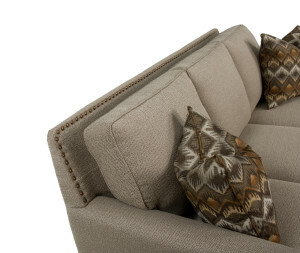 For more on Smith Brothers’ quality story scroll down and click on the cut-out sofa. 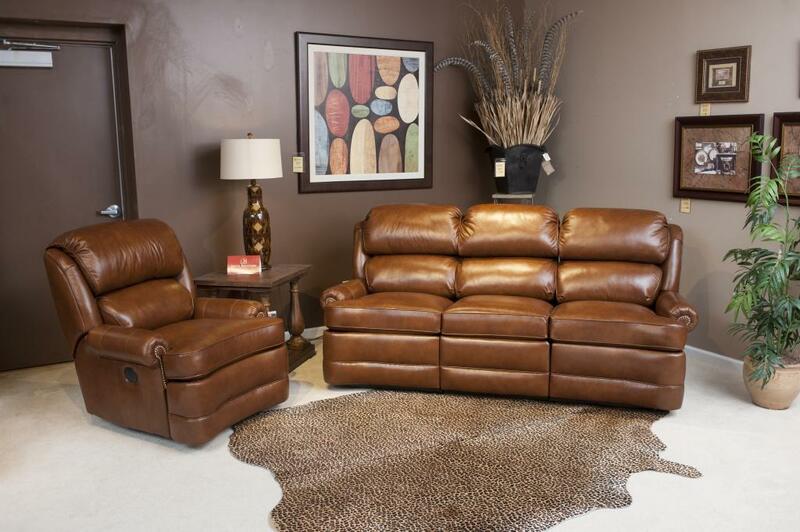 For more about Smith Brothers construction and their commitment to affrodable quality click on the picture above.